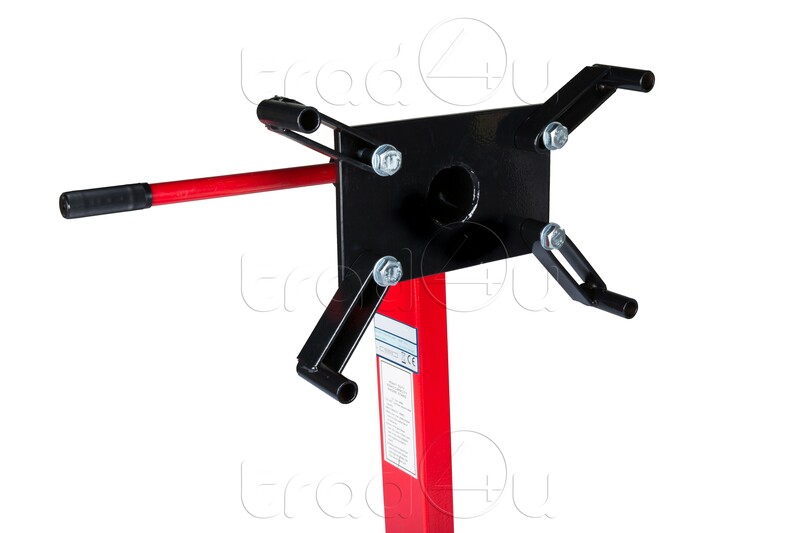 This engine stand accepts a wide variety of engines and gearboxes. 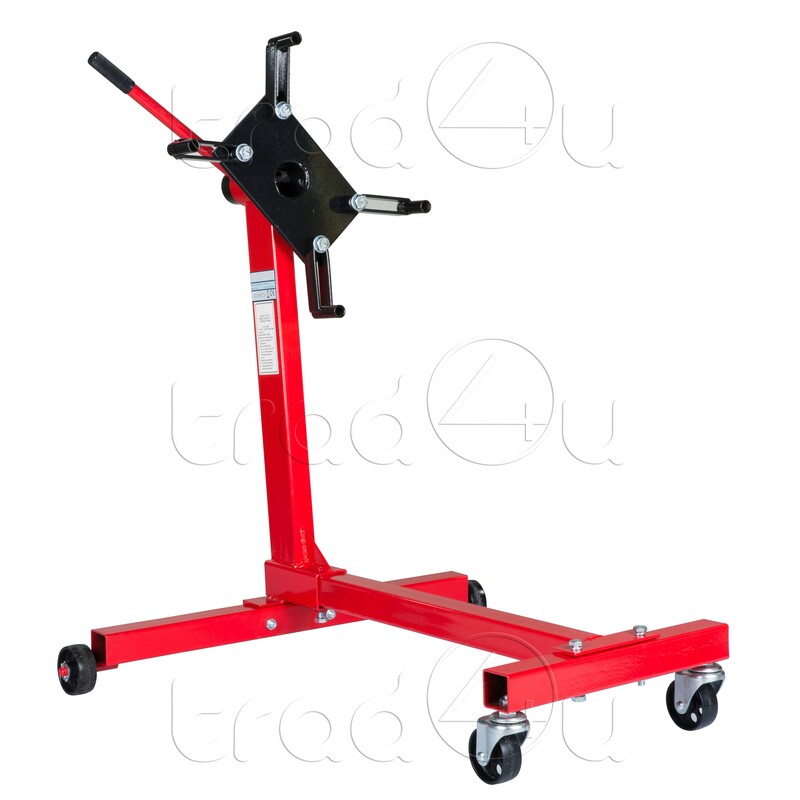 The head swivels 360º for accessibility to all parts of the engine and the fully adjustable mounting arms make this stand highly versatile. Swivel castors provide excellent manoeuvrability around the workshop or garage. 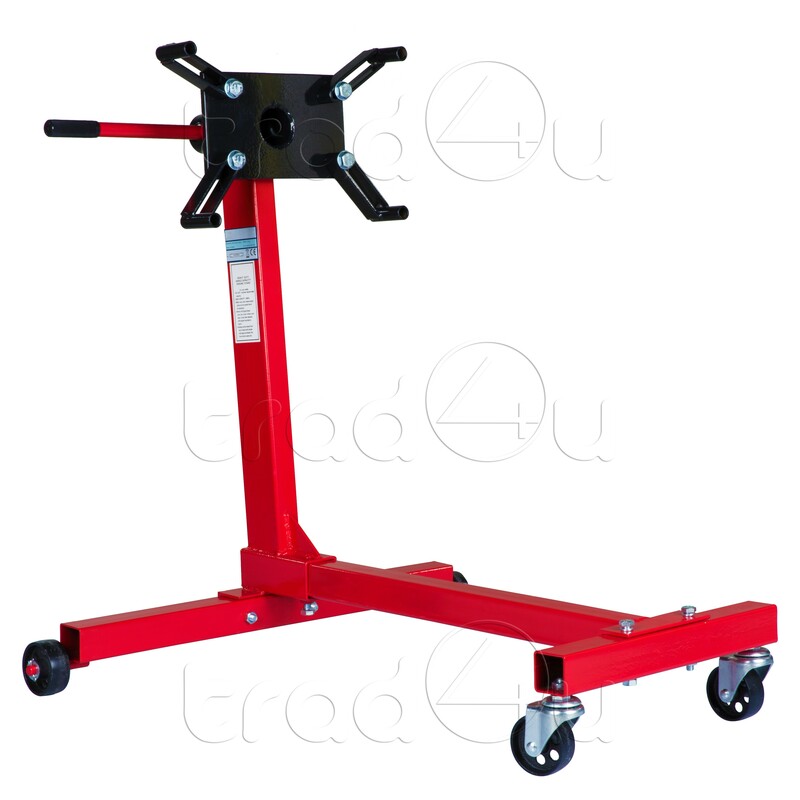 High quality 1000 lbs / 450 kg engine/gearbox support stand. Working height of 800 mm. 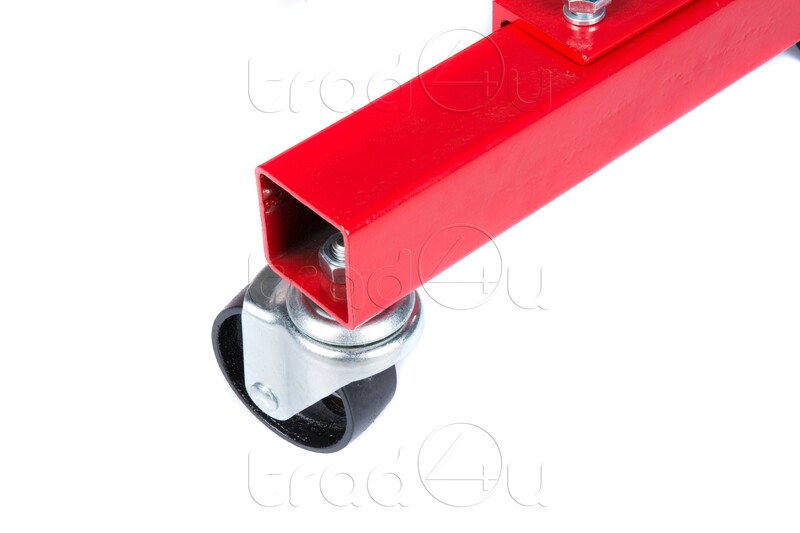 Heavy duty steel construction for maximum stability and rigidity. Swivel head of 360º for easy access to all parts of the engine. 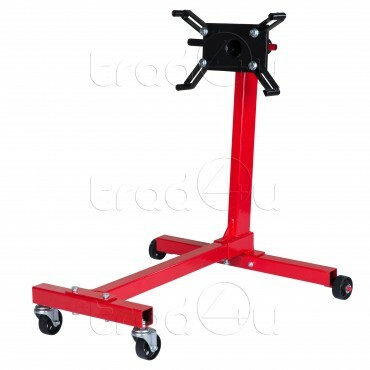 Fitted with 2 front swivels and 2 rear fixed castors for easy manoeuvrability. Specialized "I" shape base for better stability and load-bearing. Simple to manoeuvre to exactly the correct position required. Included: 1 engine bracket and English manual.